Abigail Ben-Nun is an agent with Mossad. This beautiful, highly intelligent green-eyed, blonde-haired Israeli advocate (lawyer) was born Naima, daughter of Sultan and Leila of the Bedouin Ka'abiah Tribe. What the source of the recessant gene that came out swinging in this remarkable child of the Negev Desert was, no one ever knew but what was apparent was that the girl was special and she was much loved by her parents. She was also much lusted after, even at a very young age, by human traffikers who had heard of her exceptional traits and knew she would fetch an impressive price. The fact that her Uncle Naim was one of them was bad but the fact that she was born the same time his wife died miles away in labor made him think she might possess the soul of his departed so she became special to him and resisted calls by his boss to procure her. And that becomes the basis, in a strange but interesting manner worth reading, for how Naima the Bedouin would become Abigail the Israeli. 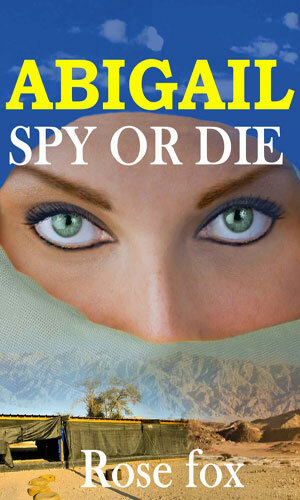 It also set the scene years later for how Abigail the attorney and up-and-coming sought after trial advocate would become Abigail the undercover Mossad agent much despised by the Iranians. 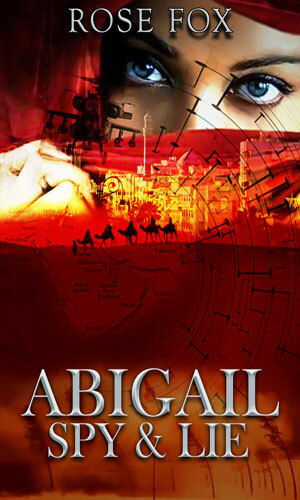 When a woman is as sharp and observant as Abigail, her talents make her a powerful weapon in both the courtroom and in the dark alleys and her unique history makes her quite at home in both bustling cities like Tel Aviv and Tehran. And whether she is seen as a lawyer or an agent, she still at heart is a Bedouin who does not suffer insults well and who knows quite a few ways to prove it. Abigail's life as a talented trial lawyer is ended when while trying to prove a regional Israeli judge, a man who was an undercover Mossad agent, was the man who drugged and raped her and was the father of her child, both are kidnapped by enemy agents. It was her unfortunate secretary that was assassinated by the sniper, not Abigail Ben-Nun. But now her enemies in Iran think she is dead and Mossad wants to use that fact to send her into Iran to destroy a nuclear reactor. The copy of the ebook I got was very poorly laid out which made reading the pages quite difficult and that definitely detracted from my enjoyment. For one thing, the first book's pages were all right-justified which is so odd when trying to figure out paragraphs and conversations (almost like it was in Hebrew which reads right to left). Then you throw in that Naima/Abigail's life takes some stunning twists and bad guys become really bad before doing good things and a good guy suddenly is a very, very bad guy and then likely good again. This old man got confused easily and stayed that way for far too long. But I liked Abigail with her hypnotic eyes and her razor-sharp intellect and her uncompromising determination for justice, either for her clients or for herself. I just wish I understood what was happening better.